September 30, 2012 is Mid-Autumn Moon Festival celebrated by Chinese and other Asians around the world. It is a national holiday in China and most businesses are closed for 5 days. I think it is awesome that you get to take a week time off to celebrate with friends and families. My friends and business partners in China said they get to take off from September 30 to October 8. I envy them so much! We don't have an extended holiday like that in the United States. We only get 1 day off per holiday...Christmas, Thanksgiving, and etc. 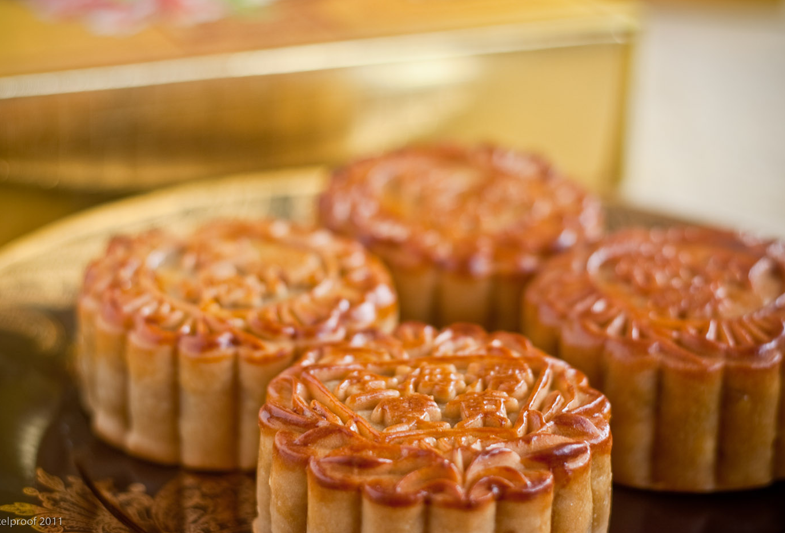 People celebrate Mid-Autumn festival by gifting friends and families with moon cakes. If they are extra generous, you also get a nice box of tea or fruits.There are so many different fillings inside the moon cakes. Amongst the flavors, my favorite ones are durian with taro, winter melon and pineapple (love them for their chewy texture). Moon cakes are expensive. Individual ones average around $4-$6 and a whole box is around $22-$40 or even much more depending on the ingredients. I love the elaborate designs of the moon cakes. They are just so pretty to look at! Last year, my 1st grade daughter learned how to make fresh moon cakes at her school. I took the opportunity to volunteer that day so I can learn how to make them myself too. The kids made red bean paste filling and they wrapped it with a brown sugar dough. The dough was put in a wood moon cake press to form its beautiful shape. The most challenging part was banging the moon cake press to release the moulded dough. 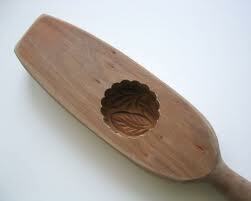 If the wood press was not floured enough, the dough didn't come out smoothly or it broke when it fell out. The parents fixed the broken ones by rolling them into round balls. A gentle brush of egg wash was the finishing touch before we popped the cakes in the oven. I love the idea of making my own moon cake and I hope to make some hopefully next year. I hope everyone who will be celebrating the Mid-Autumn festival a wonderful and happy time with their friends and families!